For Triumph, MGB, Opel GT, Fiat Spider, etc. 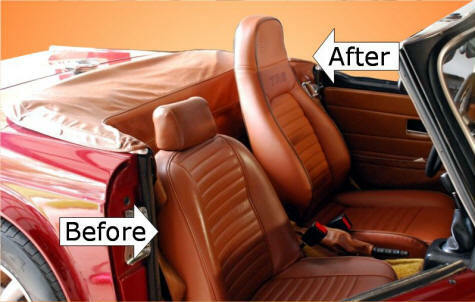 Add Cloth inserts (to leather-ette)- $29 pr. Includes install tools & supplies.